For patients in or around Jupiter, Florida, our Platelet Rich Plasma Therapy for Orthopedic Injuries, Chronic Pain and Acute injuries, NovaGenix can help with State of the art PRP injections which can increase healing, improve mobility and help reduce pain. As one of the most accomplished and experienced the most experienced PRP medical teams in South Florida performing PRP, we have the experience and professionalism that make us stand out as “the best PRP clinic near me”, in Palm Beach County, Florida. PRP therapy involves drawing a patient’s own blood, separating the growth factors and other cytokines from the rest of the blood and reintroducing it to the injury site to stimulate the healing process in a damaged tendon or joint. Doctors draw a small amount of blood from a patient’s arm and spin it in a centrifuge, which isolates platelets and plasma containing natural growth factors and healing proteins. The PRP is then injected into the injured area to initiate cartilage, tendon, and muscle and tissue regeneration. PRP Knee injections for the treatment of osteoarthritis can help patients reduce chronic pain. Platelet Rich Plasma has a wide numbers of benefits and uses, call us today to learn more conditions PRP treatment can help. For men or women who are losing their hair in South Florida, near Jupiter, NovaGenix has PRP hair loss treatments that involve platelet rich plasma injections for hair restoration. Our alopecia hair loss protocol using PRP and/or Stem Cells has shown dramatic results with patients responding to treatments in just a few weeks time, with extraordinary hair growth results. We’ve been providing patients PRP therapy in Palm Beach at NovaGenix as a proactive therapeutic option for men and women experiencing hair loss. PRP is an exciting non-surgical hair restoration option for patients who need stimulation of hair growth for hair loss conditions. Recent scientific studies within the medical community and advancements in technology have provided medical professionals with new understandings of wound and tissue healing. Because of this recent scientific research, we can recognize PRP as an all-natural autologous medical procedure conducted by physicians offices and clinics for hair stimulation as well as that of the scalp and skin. 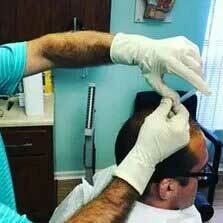 Platelet Rich Plasma Injections for Hair Loss in Florida at NovaGenix’s Jupiter PRP clinic has helped countless men and women regain the confidence that comes with a natural, full head of hair. PRP therapy for hair loss in Jupiter at NovaGenix is a treatment that involves drawing a patient’s own blood, and then carefully processing it in a centrifuge to separate the cells into its component layers. We extract the growth factors and PRP (platelet-rich plasma) and our physician will inject the plasma sample, rich in platelets and cytokines, the cells responsible for stimulating regeneration of cells to initiate hair growth, directly into the patient’s scalp. PRP hair restoration treatments in Palm Beach County is one of the few treatment plans that can stimulate natural hair growth to restore a more youthful appearance. Click Here To Learn More About PRP Treatments For Hair Loss. NovaGenix is one of the most experienced PRP for Facial Rejuvenation medical teams in South Florida, having performend thousandsof injections. Our advanced PRP techniques utilize the most advanced, state of the art PRP techniques for activation of platelets and growth factors so that our patients can receive the best results possible. We produce a greater total volume of PRP with a more concentrated volume of viable platelets and cytokines due to our closed system of blood collection and PRP processing techniques, which improve results and virtually eliminate any possible risks associated with PRP injections. can help people regain their youthful glow. PRP is widely known for healing the skin with the body’s natural powers of rejuvenation. One of the single most effective treatments, PRP relies on the harnessing of the body’s own healing and restorative processes to rejuvenate the skin. Other treatments, like Lasers for example, selectively wound the skin to encourage the skin to produce new skin in its’ place. Other skin treatments, creams and facial peels are also designed to help boost and support the skin’s natural healing and renewal processes. 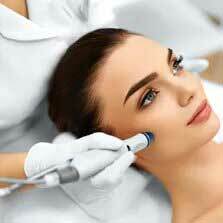 Platelet-Rich Plasma Facial Rejuvenation in Palm Beach has recently been gaining popularity for a few reasons. One is due to its being 100% natural and organic. Another reason is because PRP Facial Treatments in Jupiter at NovaGenix really works. We draw blood from the patient and use the plasma taken from the patient which is rich in platelets and growth factors, the amino acids responsible for stimulating new cellular growth in collagen cells in the face. We use PRP injections as a way to help restore a more youthful and natural appearance without the use of chemicals like Botox. The side effects of PRP are almost none. 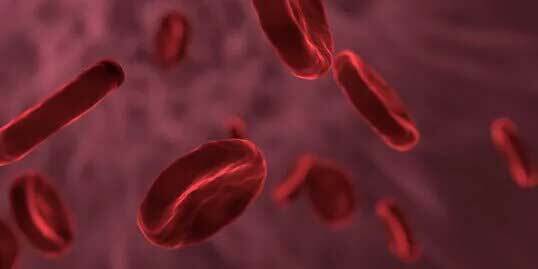 Since we use your own blood, platelet rich plasma risks are almost zero. PRP in Palm Beach at NovaGenix can help improve the appearance of wrinkles, sun spots and scars as well as the dark circles under our eyes. Call NovaGenix to learn more about PRP therapy in Jupiter today. Click Here To Learn More About PRP For Facial Rejuvenation or call 561-277-8260 to schedule PRP treatment in Jupiter. Local News reporter Kara Duffy and the team from CBS 12 news recently came to visit NovaGenix to learn more about PRP and why our treatments are so successful. <strong>Click here to read the interview and watch the segment. PRP treatments at NovaGenix have gotten much attention Here is an article about PRP and regenerative edicine at NovaGenix. NovaGenix is Florida’s leading PRP experts. Patients in Florida who are in need of PRP can be assured that NovaGenix is the industry’s leading platelet rich plasma experts in South Florida. 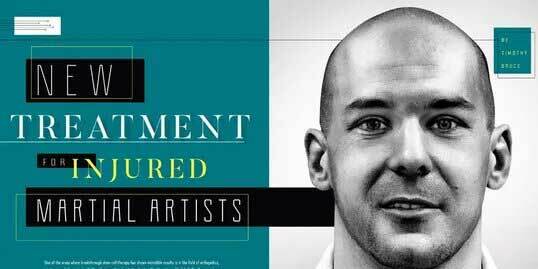 Click here to read an article on NovaGenix Platelet Rich Plasma Therapy , where we were featured in their piece on PRP and professional athletes who use regenerative medicine to recover faster from their injuries. Doctor’s Who Perform PRP Near Me in Jupiter at NovaGenix. Check us out at 609 N. Hepburn Ave. Jupiter, Florida 33458 and learn more about PRP by calling us at 561-277-8260. We help patients of all ages with plasma injection treatments in our Palm Beach County medical clinic. With minimal down time, we offer PRP treatments that are minimally invasive, with nitrous oxide and lidocaine to make the procedure as comfortable as possible. Learn more about PRP HERE. 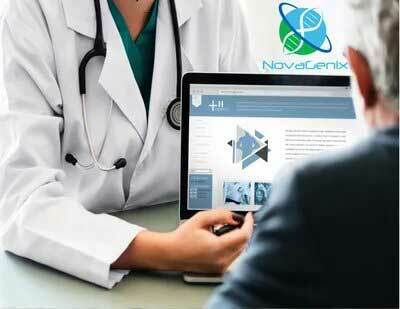 With several thousand PRP injections, NovaGenix has the experience you’re looking for when choosing the best PRP clinic in the West Palm Beach area. 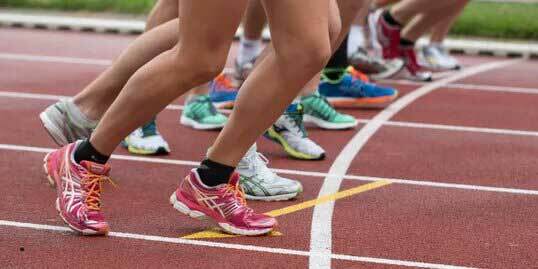 We offer Platelet Rich Plasma injections for orthopedic and sports injuries. PRP knee injections and plasma therapy for lower back pain are very common, as is treatment for shoulders, neck, elbows and more. Cosmetic procedure like PRP for face and skin rejuvenation have become very popular because they help stimulate collagen production and reduce age spots and wrinkles. We even offer PRP for hair loss as a non-surgical hair restoration procedure for men and women with thinning hair that want to improve their appearance by having fuller thinker hair. NovaGenix has one of the most experienced doctors performing PRP in the treasure coast today. You’d have a hard time finding a doctor who performs platelet rich plasma therapy with more experience than NovaGenix. Having studied the science behind how plasma injections work, years ago, he began performing PRP years ago and now operates exclusively in Jupiter at NovaGenix, located at 609 N. Hepburn Ave, Jupiter, Florida 33458. One of the top PRP doctors in the area, he can help you look and feel better today with the experience and results you deserve and expect from the best platelet rich plasma physician in South Florida. NovaGenix’s reviews speak for themself. If you look us up on Google or Yelp, you’ll see the large number of 5 star reviews from our patients who all rave about the professionalism, and results from the best PRP clinic in the Jupiter area and the best PRP doctor in the Palm Beaches. Call us today to set up a consultation and learn more about how NovaGenix is the highest rated facility when you search for the top rated Platelet Rich Plasma clinic near me! NovaGenix discusses the benefits of PRP and how they first began using Platelet Rich Plasma to help treat patients with injuries as well as for facial treatments and hair restoration. So if you’re interested in prp treatment for hair loss or PRP for knee injuries, we can help.